Ziguinchor (Senegal) (AFP) - Seven wedding guests were killed and three were seriously injured when they were blown up by a landmine in the troubled southern Senegalese region of Casamance, sources told AFP on Sunday. "Ten young people going to a wedding on a bullock cart were blown up by a mine" in a village near the Gambian border, a local politician told AFP on condition of anonymity, adding that seven were killed. A military source confirmed the toll. A separatist rebellion has been rumbling in the region -- which is largely cut off from the rest of Senegal by Gambia -- for more than three decades. The dead and injured were taken to hospital in Ziguinchor, the largest city in Casamance. Thousand of mines have been laid in the region since the low-level war began in 1982. The military source claimed that rebels of the Movement of Democratic Forces of Casamance (MFDC) did not want the region to be demined. 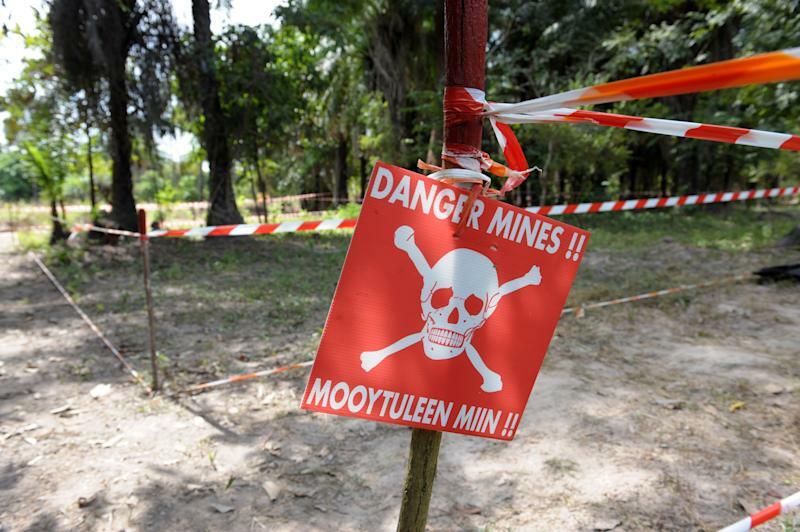 A dozen deminers were kidnapped in May 2013 by a faction of the MFDC protesting about the demining of an area close to the border with Guinea-Bissau. Despite ongoing peace talks between the Senegalese government and the rebels brokered by the Sant'Egidio Catholic community, both sides have been at odds over the removal of mines. The region has been relatively peaceful, however, since President Macky Sall came to power in Dakar in April 2012, with greater efforts to resolve the long-running conflict.